The original co-authors of "The Iran Primer" book reflect on the eve of the 40th anniversary of Iran’s revolution. Their comments cover the diversity of analysis. “The Iranian Revolution is the most pivotal event in America’s relationship with the Middle East. Seven American Presidents had embraced the Shah as their guardian of the Persian Gulf. President Jimmy Carter has been blamed for ‘losing Iran.’ In fact, the Shah lost his empire because of his poor decisions, arrogance and weak leadership. Rather than the strong man Americans convinced themselves he was, the Shah was an indecisive person prone to avoiding decisions. In 1978 and 1979 he prevaricated. It cost him the throne. 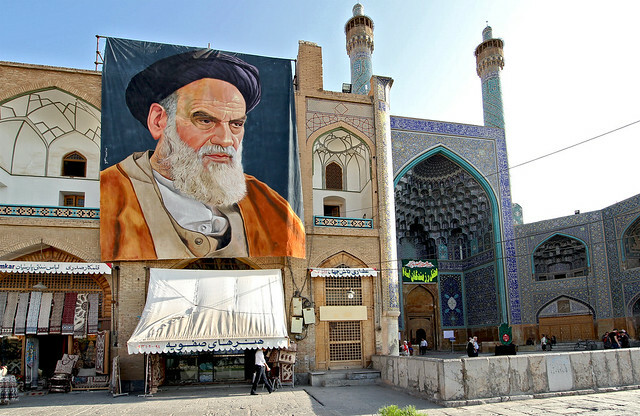 “His opponent Ayatollah Ruhollah Khomeini was the decisive leader utterly determined to establish his Islamic Republic. He was determined to destroy the Pahlavi dynasty. He was equally determined to humiliate the United States and its President. He cost Carter his re-election and made a fool out of Ronald Reagan with his arms for hostages gambit. “Forty years later the Islamic Republic and the United States are still antagonists, competing for power across the Middle East. But they also have some overlapping interests. The challenge for American Presidents now is to pursue aggressively counter terrorism against Iran and it’s protégés while managing the issues where we have common interests like fighting ISIS. a restive poor and an Internet-savvy society angry at the regime’s draconian efforts at censorship. “Reading Iran - the task of trying to understand the motivations, intentions and capabilities of the government in Tehran - has become harder since the U.S. Administration pulled out of the 2015 nuclear agreement. The JCPOA had created a channel for official contact, albeit on the specific issues related to Iran's nuclear activities. Outgoing Secretary of State John Kerry had urged the incoming Trump Administration to maintain contact with Iranian counterparts during the 2016-17 transition, but was rebuffed by the new team's opposition to the JCPOA, and their belief that engaging Tehran was a feckless pursuit. “Diplomatic contact with adversary states is not sufficient to build the complete picture of what is going on, but in the case of the long estrangement between Washington and Tehran, it was potentially an important way to deepen understanding, seek information or send messages, rather than through third parties or formal demarches. “Other valuable channels that bring insight about Iran's intentions and likely behavior are intelligence, visits by former U.S. officials, consultations with friendly countries that have missions in Iran, and insightful writings by journalists and academic visitors to the country. At present, the atmosphere in Tehran is less congenial for journalists and other non-government visitors. The hostile and punitive approach to Iran taken by the Trump Administration has been met with a renewed mistrust of American intentions by Iran's officials, and their suspicions about foreign visitors make it a high risk endeavor for western experts to visit the country.